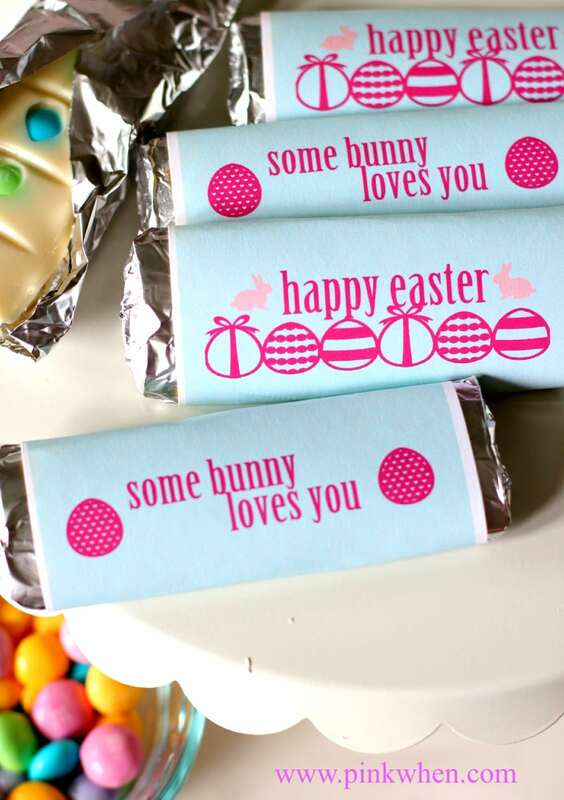 This Easter candy bar recipe and printable wrapper are already a big hit at my house this year. I had the two boys helping me out this time, and I almost didn’t get pictures before they had disappeared! 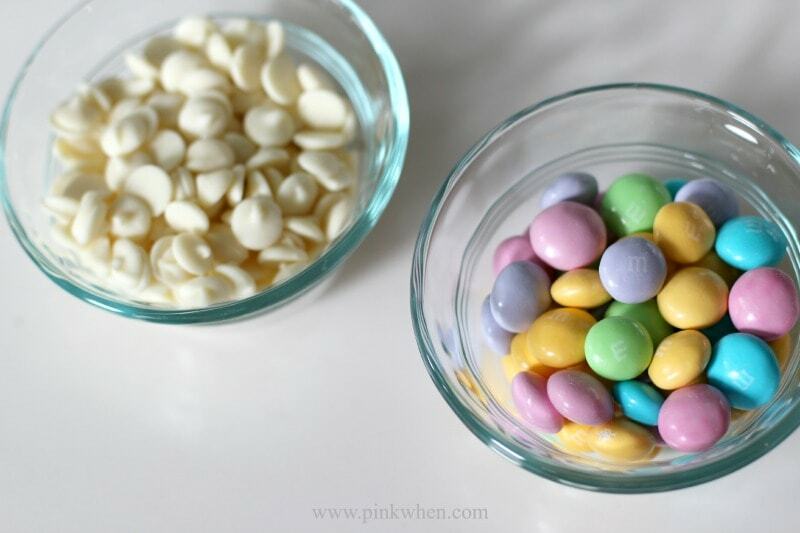 Needless to say, this is such a quick and easy Easter idea that you only need a little less than an hour before you have these cute Easter treats. Grab all of your items and get ready to have a little fun. Pour in the chocolate and then smooth the top with your finger if needed. Place in the refrigerator and allow to cool for a few minutes until chocolate is hardened again. Pop the chocolate bars from the mold and then cover with foil. Take your free printable wrapper and wrap it around to finish. I just affixed my wrappers with a little tape in the back to keep it in place. These are such fun little treats to make. 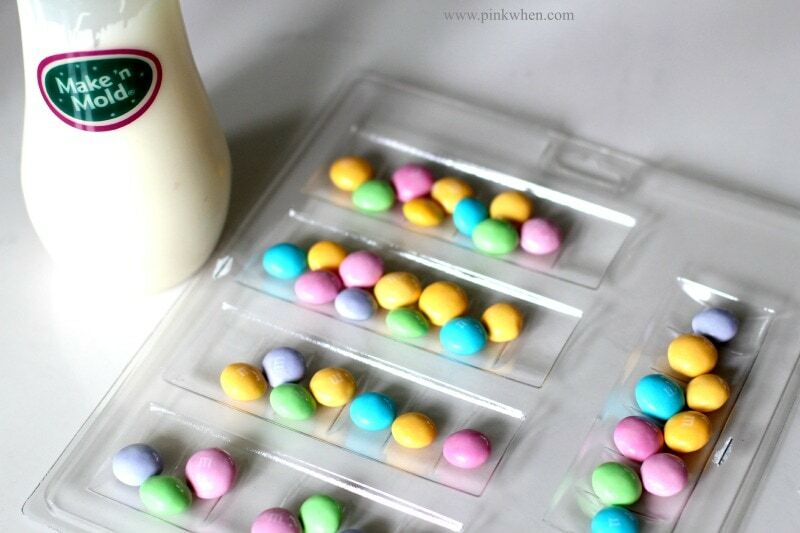 It’s a great little project for Spring Break and occupying a little time to get the kids away from the couch and the TV. Of course, after eating all of this candy, you need to get them outside to burn off all of this sweet energy they are going to have after they eat them. 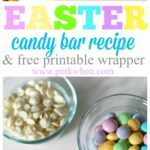 Make sure you download your free printable wrapper, and print/save this Easter candy bar recipe for future use! 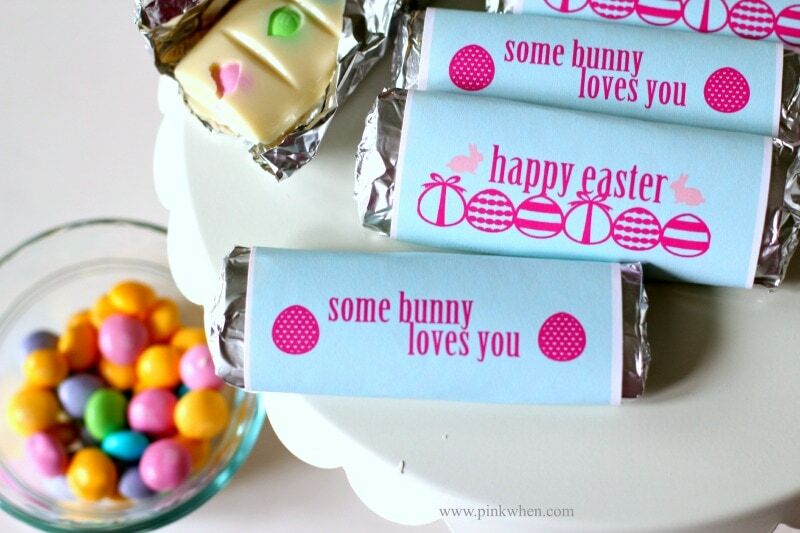 A simple and cute Easter candy bar recipe and free printable wrapper. 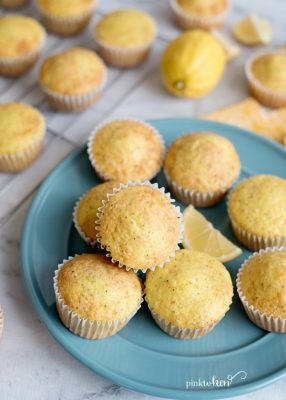 You might also like these Lemon Poppy Seed Muffins. 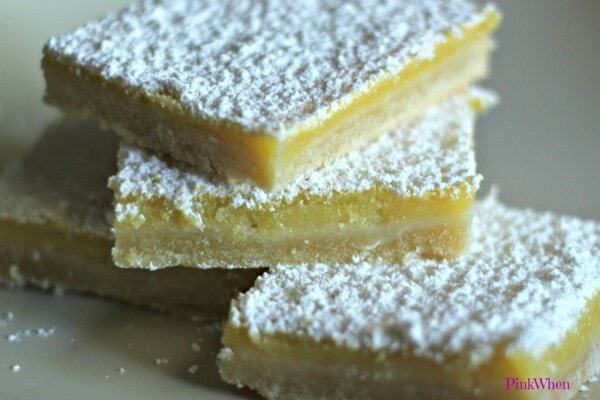 You might also like these Lemon Bars.